Add extra safety and security to your home without having to get an electrician with this Motion Sensor LED Security Alarm! There's no electricity needed to power the Solar Powered Motion Sensor Detector Alarm. 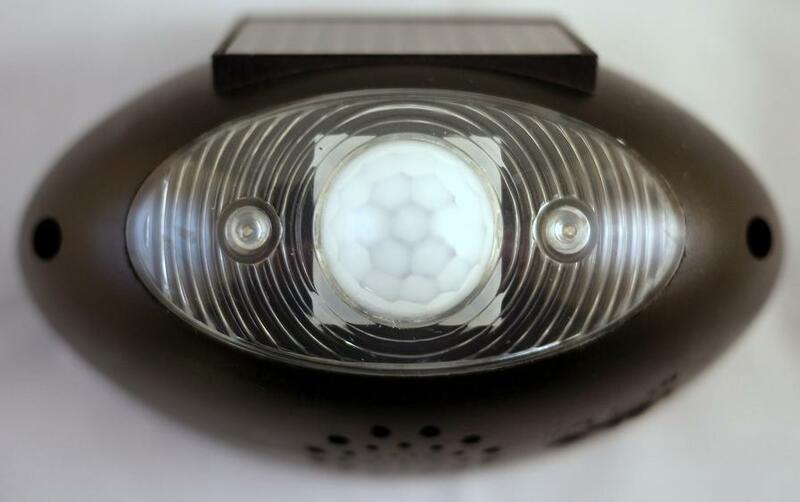 With no wires to run, you can install this solar light in minutes. A built-in photocell lets the Solar-Powered Motion Sensor Outdoor Alarm know when it's dark, so it won't waste battery and bulb life by burning during daylight hours. This motion detector must be installed outdoors with its solar panel receiving DIRECT sunlight. The built-in solar panel collects and converts sunlight into DC power everyday while the pre-installed rechargeable battery stores the energy to power the device at night. The built-in sensor automatically activates the unit at dusk and deactivates it at dawn. Solar Powered Motion Detector works only when it is dark. 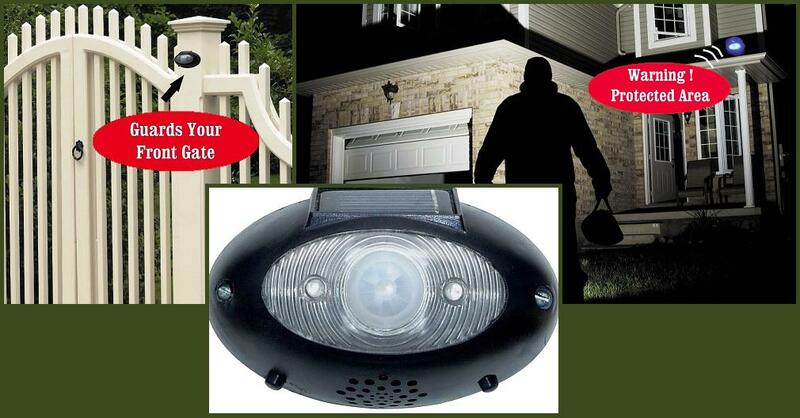 It is ideal for backyard security and walkway lighting as it turns on whenever movement is detected.